From a magnificent venue to all the magical little details, Priyanka and Rahul’s wedding had all of it! Priyanka and Rahul’s wedding celebrations unfolded in the sprawling environs of Fairmont Jaipur. WeddingSutra Favorite CineLove Productions captured all the colors, charming details and candid emotions of the celebrations. Check out some memorable moments here. Rahul and Priyanka studied in the same college but did not know of each other. However, one day she received a friend request from him on a social media platform. Their 22 mutual friends made Priyanka accept his request. They started connecting online and then offline. 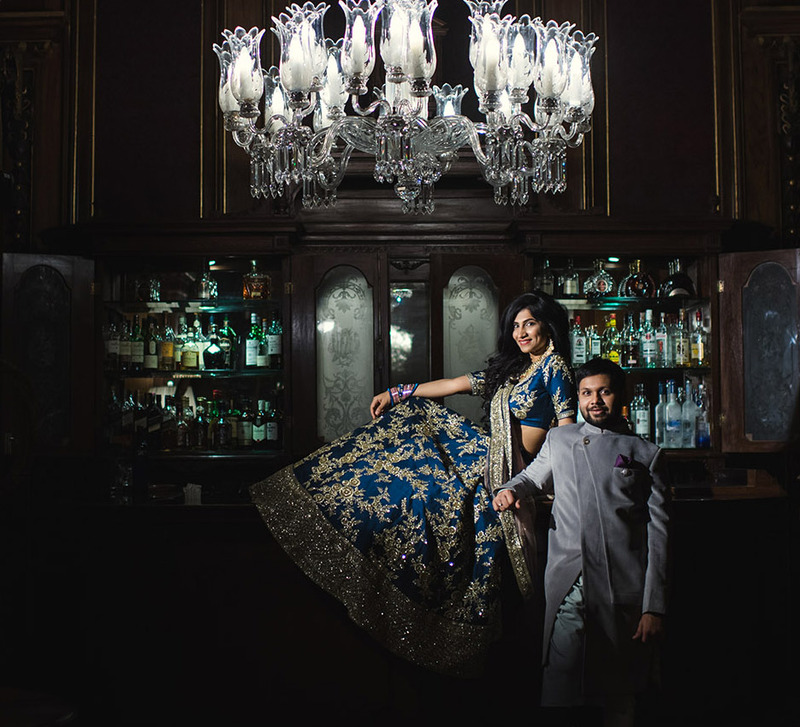 After numerous coffee and dinner dates that led them to falling in love, Rahul proposed to Priyanka. 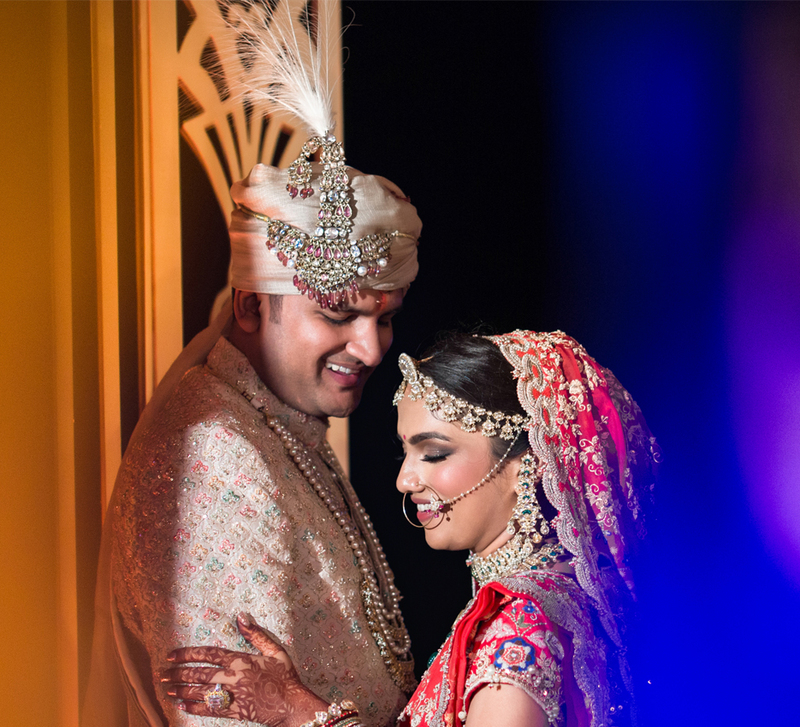 Priyanka and Rahul chose to host their wedding at Fairmont Jaipur as they were inspired by the twin influences of the Mughal dynasty and the royal Rajputs. Fairmont Jaipur offered grandeur, exquisite architecture and regal outdoor spaces which gave Rahul and Priyanka's wedding a lavish vibe. 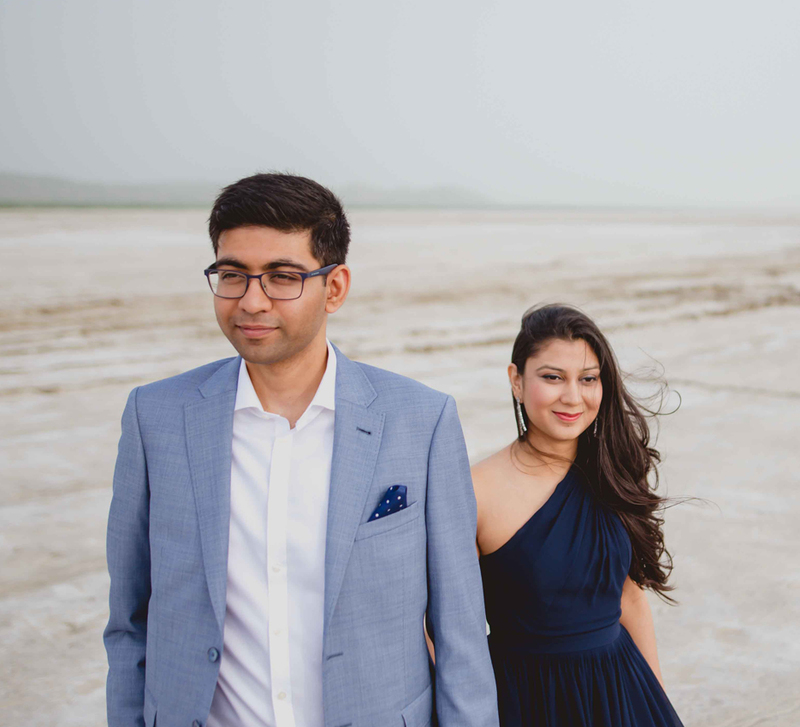 Keeping in mind the hotel's beautiful design and venues, Priyanka and Rahul chose different stylish themes for their diverse functions and picked the decor elements accordingly. The mehndi ceremony was inspired by the 'mela' (festive fair) vibe, and set up on the lawns of the hotel As vibrant hues lit up the environs, the beats of the dhol (traditional drums) had guests dancing merrily. The bride looked stunning in a pink Papa Don’t Preach by Shubhika lehenga which she paired with pretty floral jewelry, while Rahul complemented Priyanka’s look in his powder pink kurta and white Nehru jacket. 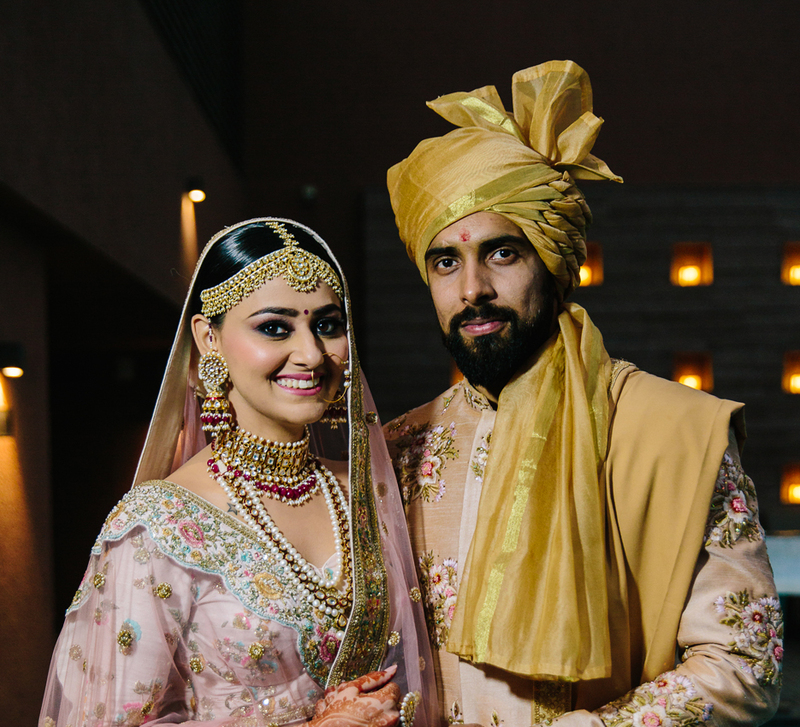 Rahul and Priyanka stuck to the traditional shades of ochre for their haldi ceremony. The bride wore a classy yellow saree with floral jewelry in similar shades, and the groom picked a classic orange kurta. The venue was decked up beautifully with white and red flowers for the D-day. Priyanka made a grand entry under a floral canopy held aloft by her loved ones. She wore an exquisitely embellished Anita Dongre lehenga which she teamed with Hazoorilal jewels. Rahul arrived on a horse, and he looked like a prince in his elegant sherwani by Diwan Saheb.